Mr. Suave's Mod Mod World: Modcast #183: Are Your Ears Burning? 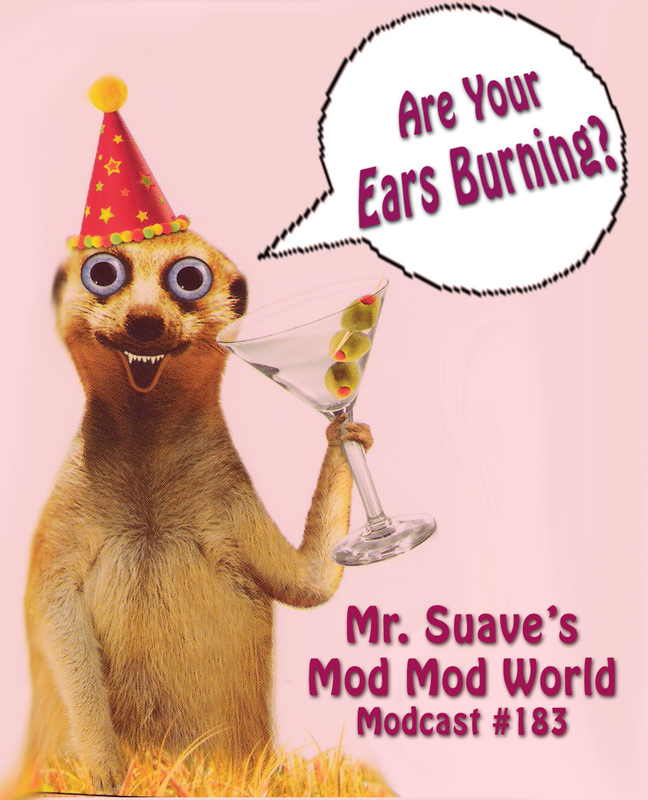 They should be because I'm talking about you on this week's modcast dear listeners. Talking about how much you're going to dig these mod friendly tunes from the pure mod sounds of The Co-Stars and Second Generation to the post-punk, new wave pop of Gruppo Sportivo to the 80s power pop of Undercover and The Action. I suppose everyone was expect a Christmas modcast this week. But no. Even though it is December, I'm bucking the trend to dive into Christmas shmaltz ... at least for another week or two. I've got Christmas shenanigans planned for when we get a little closer to C-day itself. As of now though, no Christmas carols in this modcast. But do stay dialed into this page as I will be reposting some past Christmas shows, as well as a few other holiday goodies between now and the big day.